A lavish residential project Supreme Corner View upcoming by Supreme Universal at 15th road, Bandra West with its premium 3 and 3.5 BHK apartments. Corner View will set a best example to nourish and cherish one's life. It is planned such a way out where one's life unfolds a grand chapter towards a new beginning to luxury living. 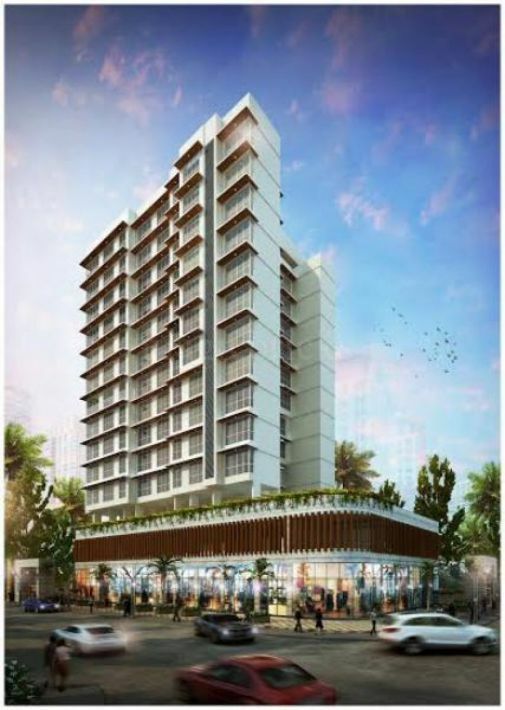 Supreme Universal, a renowned developer has some of its landmarks like Supreme Epitome, Supreme Signet, Strellar, Supreme Estrella, and many more. Corner View is at epic center surrounded with retail outlets, entertainment, cafe's and fine dine restaurants all around. Corner View comes with world class amenities to nurture one's daily life with comfort and ease. Supreme Corner View offer you its luxurious apartments at a astonishing price range starting up with 7.30 crs. Supreme Corner View being at its Pre launch stage gives you the key to your luxury living at a epic location at Bandra West. Corner View by Supreme Universal, a well known developer. Corner View is coming up with luxurious 3 and 3.5 BHK apartments on 15th road, Bandra West. Corner View offers you its luxurious apartments at a astonishing price range starting up with 7.30 crs. Fine dining restaurants, retails outlets, educational institutes all surrounded. Corner View by Supreme Universal is located on 15th road at Bandra West. Fine dining restaurants Pal's Fish Corner, Mini Punjab, Educational institution Hue Kids, a health care Regal Chemist is in the radius of 3-5 Kms. 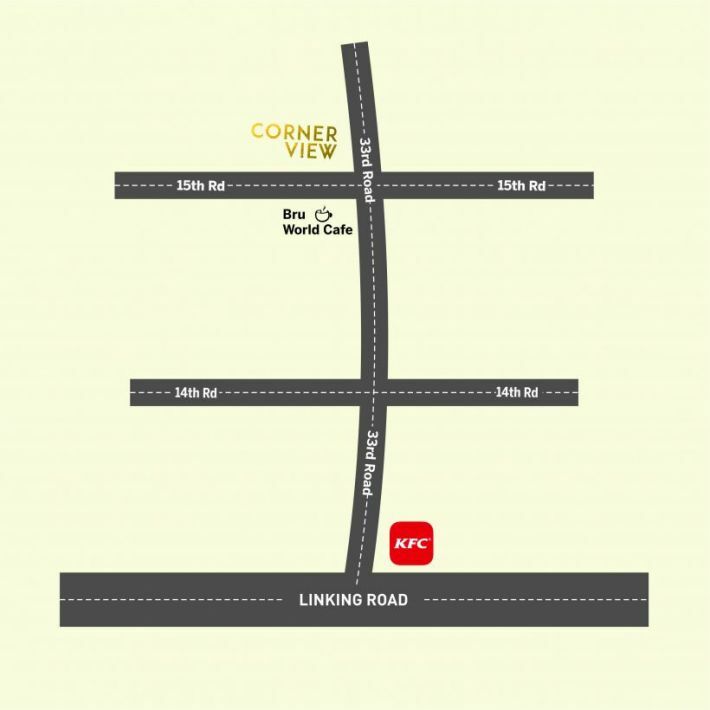 Corner View located on the epic center at Bandra West has good connectivity to North and South parts of Mumbai. Its also has good connectivity to Metro, Rails, Sea Link, Domestic and International Airports. Opportunity to own lavish apartments at Bandra West. Supreme Corner View by Supreme Universal, a well known developer. Easy accessibility to other parts of Mumbai via Roadways, Railways, Metro and Sea Link. Proximity to Domestic and International Airports.